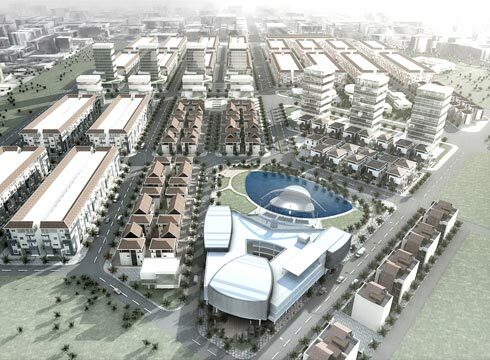 For the Vietnamese building company Song Da Thang Long an area of 7.000 sqm was developed. 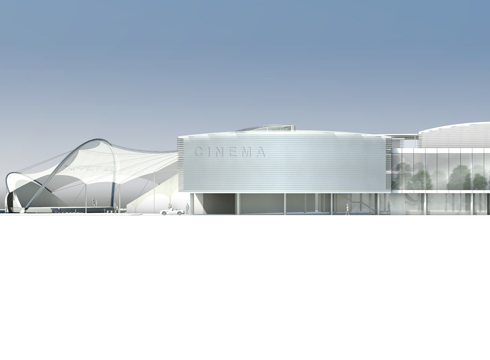 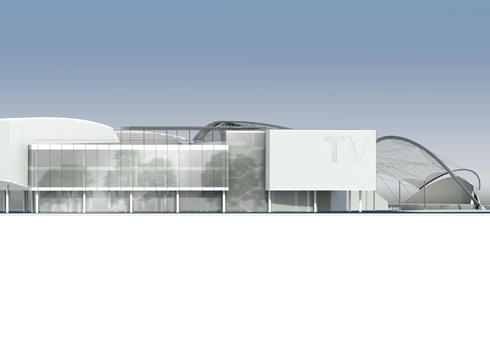 The design of the new leisure centre comprises movie theatres, a multi-purpose hall, a media-centre with small TV-studio, restaurants and an exclusive club. 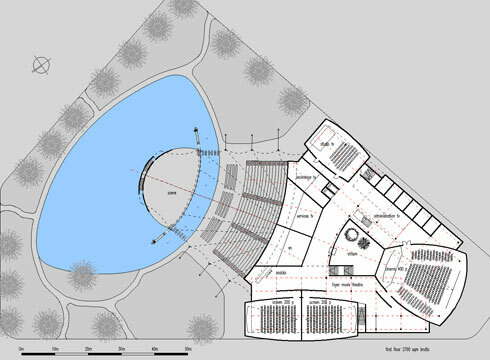 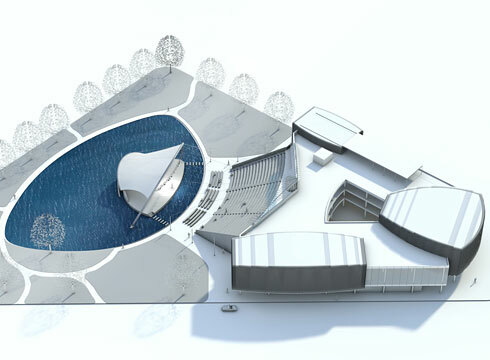 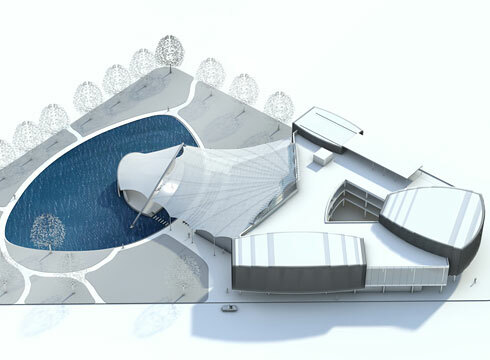 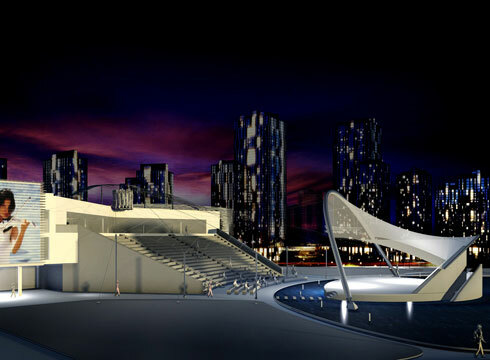 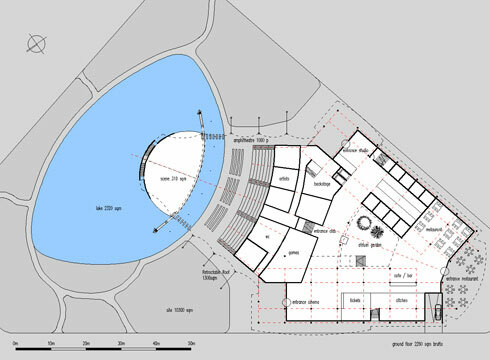 As core of the complex, an open air theatre with rising stands for 1.000 spectators was designed, including a sculptural lake stage. 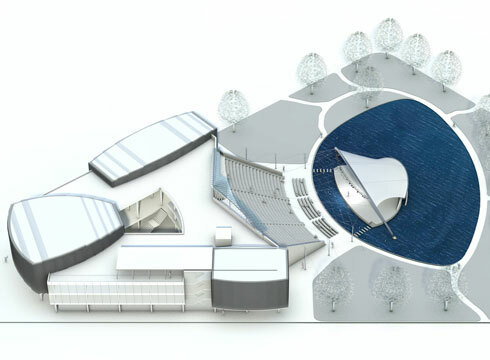 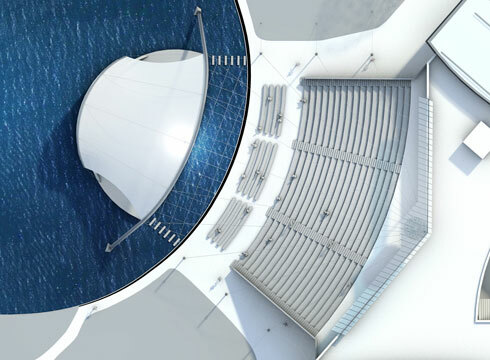 The stage area is permanently covered by a membrane roofing, the tribunes remain open air but can be covered within minutes by an retractable roof.